A balanced cognac, marked by an oaky taste. Its time spent ageing in a barrel infuses it with complex aromas along with notes of caramelised dried fruits and prunes. This tone adds a number of rich qualities to a cocktail. 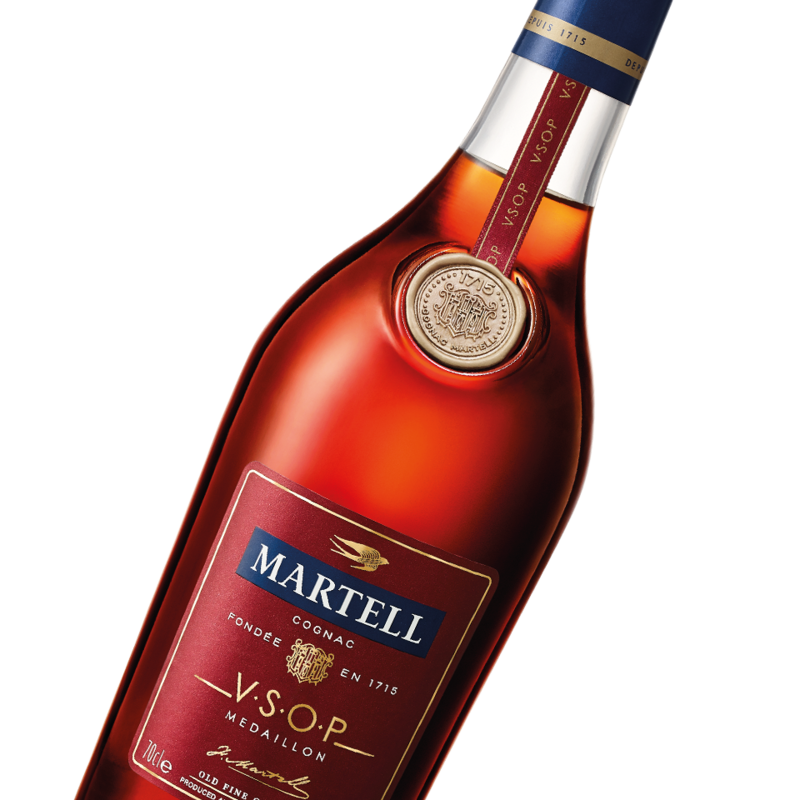 Martell VSOP Médallion (‘Very Superior Old Pale’) bears a gold medallion engraved with the portrait of Louis XIV and commemorates the year 1715 - the birth of the House of Martell. This cognac is made with skilfully blended, mature eaux-de-vie from the four finest terroirs of the Cognac region. A smooth and mellow cognac that is a true cocktail of aromas, at once fresh, rounded and woody. Bittersweet softness: lime and liquorice. Crystallised fruit: quince, raisin and plum. Spring undergrowth: fresh notes of oak wood (fine grain and hazelnut). Soft, mellow and complex with crystallised-fruit notes. An ample, round body. Long finish. A cognac to enjoy on its own, over ice or lengthened with a mixer.